Have a look through our documentation. If you still can’t find the answer to your question you can contact support where we will assist you with any product issues and guide you along with customizations. 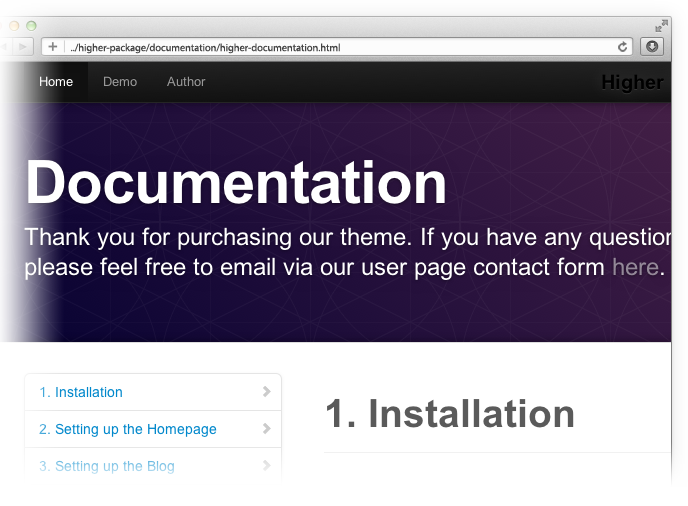 Our documentation designed and built with all the love in the world by Twitter Bootstrap.